Editor’s note: Redbird has been asked to author a series of articles for publication in daily newspaper business sections. 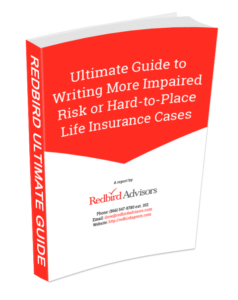 The first in the series is about Key Man Insurance. The article is targeted to owners of small to medium-size businesses who, as you’ll read, are woefully under-insured when it comes to protecting their most valuable employees. 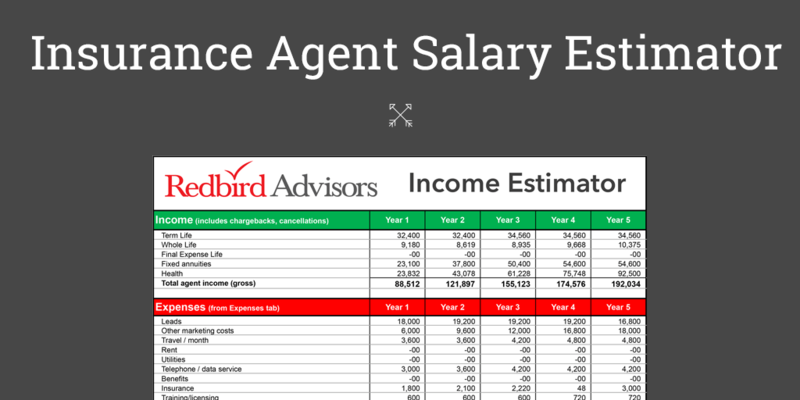 We believe this is a big opportunity for Redbird agents who are talking with business owners about life, benefits and other business-to-business products and we wanted you to get a peek at it before it is published. Owners of closely-held businesses push their people (and themselves) every day to achieve important goals. They are singularly focused on the end game with often little attention given to exit strategies. This story is not about the positive exit strategies, such as selling your business and retiring wealthy. This is about the unthinkable: the loss of a key person or persons in your business that creates “exit implications” not contemplated in your long term plan. So, whether that key person unexpectedly dies or simply leaves, the company’s future may hinge on that unthinkable moment. Here’s the harsh reality: After the loss of a key player, more than 80% of small to medium businesses are out of business in less than three years. Every closely-held small or medium business has at least one key player it can’t afford to lose. Maybe it’s the founder or CEO. Or, maybe it’s the top sales person who has bonded with your biggest customer that happens to represent 50% of your income. Ponder that scenario for a second. Heck, we can’t even stand it when key people go on vacation, much less the thought of them never coming back. Of the 20% of companies who survive the loss of a key player, we’re betting that 100% of those companies had some type of insurance on the lives of their key people. What company to purchase from. The “who” is straightforward? If the loss of a person would have a significantly negative impact on operations, customers or financials then they should be insured. Term. It’s the cheapest and easiest to get. Consider it as renting insurance. It’s pure insurance for a fixed period of time with no build-up of cash value. A policy for $500,000 will pay the company $500,000 at the insured’s death with generally no tax implications (ALWAYS consult your tax advisor first). Permanent for “death” purposes. Your options (and the complexity) increase significantly with permanent. Consider permanent as just that: you own the policy for life regardless of what health conditions may arise in later years. These policies offer both insurance and an investment component, generally called “cash value.” Unlike term, part of the premium pays for the insurance element of the policy and part goes to the investment part. The cost of permanent insurance is much more than term insurance, but its purpose is to ensure you for life rather than a fixed period. Depending on the kind of permanent policy, there may be options to invest the cash value. Permanent for “employee retention” purposes. This is a three-fer for the business. First, the policy protects the business if the employee dies. Second, the build-up of cash value can be used, for example, as a long-term incentive for the employee to stay with the company. So, if the employee meets certain requirements the company will transfer the policy to the employee along with its cash value. Conversely, the company can protect itself with this type of policy in case the employee leaves early by recouping some of the premiums it paid from the cash value. Third, when the company is sold buyers want to retain a stable management team. Using permanent insurance for employee retention adds value creation for the business providing an opportunity to sell the business at a higher price. The “how much” is a balancing act among what you believe to be the true cost to replace the person(s), the number of people to be insured, keeping the business stable during the transition and how much the company can afford. Some owners want insurance coverage from 10 to 15 times salary for each employee covered. This peace of mind relieves one more pressure point for the owner. Not to be ignored in this process is the person who is helping you make this decision. The majority of agents who sell life insurance are not adequately trained or qualified to help businesses make these complex decisions. You need an advisor who understands the strengths and weaknesses of your people and your business. And, last but not least, buy from the highest rated carriers. Press your agent to provide background on each carrier from rating services like A.M. Best, Standard and Poor’s and Moody’s. Let’s end with a question: When is the cheapest time to buy life insurance? Do it for health of the business that you have worked so hard to build. In a recent survey 85% of small business employees said they expect voluntary benefits to be a part of a comprehensive benefits package provided by their employer. The good news for you: most employer-sponsored plans for small businesses don’t include voluntary benefits. Take the time to dig into this. Call 866-547-8780 and talk to Drew Gurley, ext. 102. Small business employees down on their benefits. It should be no surprise that small businesses are being squeezed and benefits are one of the first things sent packing. This article in Employee Benefit Advisor provides good data on how agents can approach small businesses with voluntary packages. The article states that 85% of employees in a recent survey said they consider voluntary benefits to be a part of a comprehensive benefits package. Read more. 9 legal tips for your clients. This is a to-the-point story about the kinds of value-added information you should be providing clients. LegalShield is a company we’ve come to rely on for this kind of information. Read more.